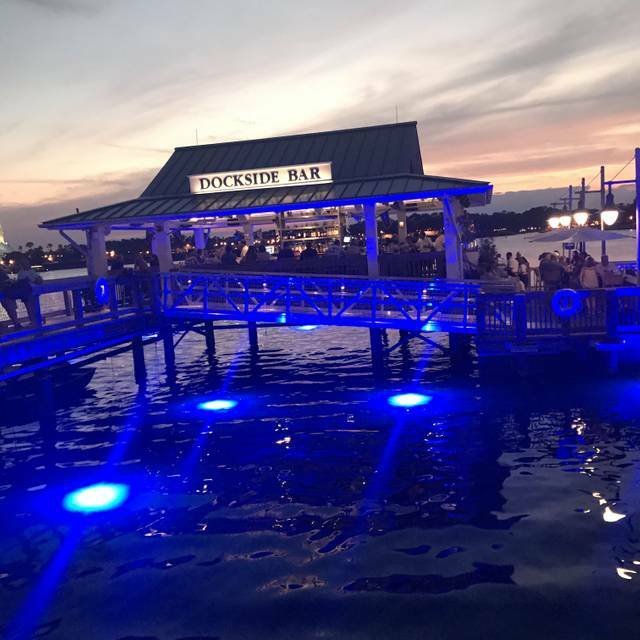 Enjoy upscale, family-friendly waterfront dining featuring spectacular floating artwork: dream boats from the 30’s, 40’s & 50’s. 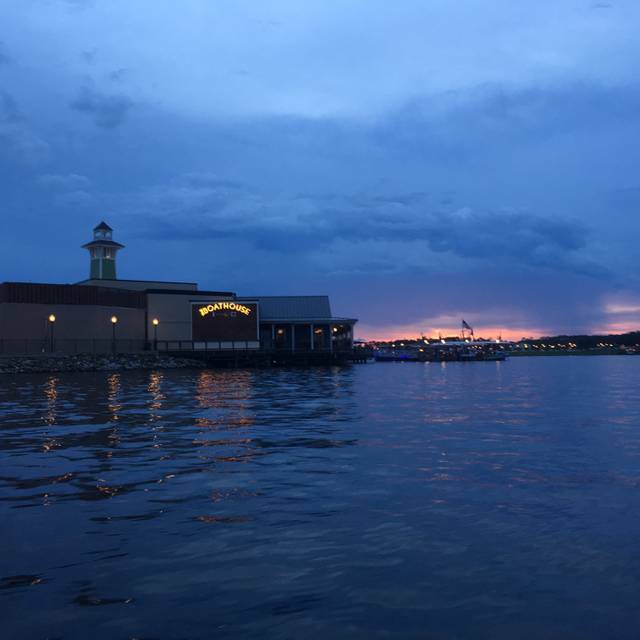 Immerse yourself both on land and on water with live music, guided tours aboard the Captain’s piloted Italian Water Taxi, as well as guided Amphicar rides. 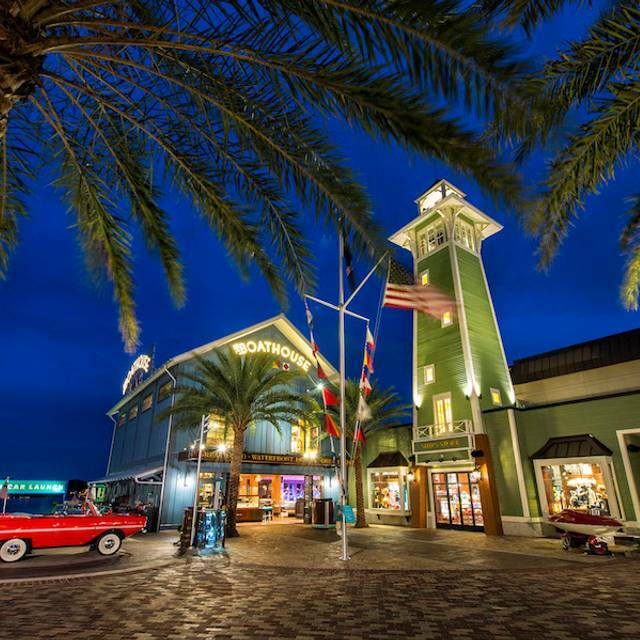 Enter the water with a splash, while you go for a 20 minute tour of the landmarks of Disney Springs. 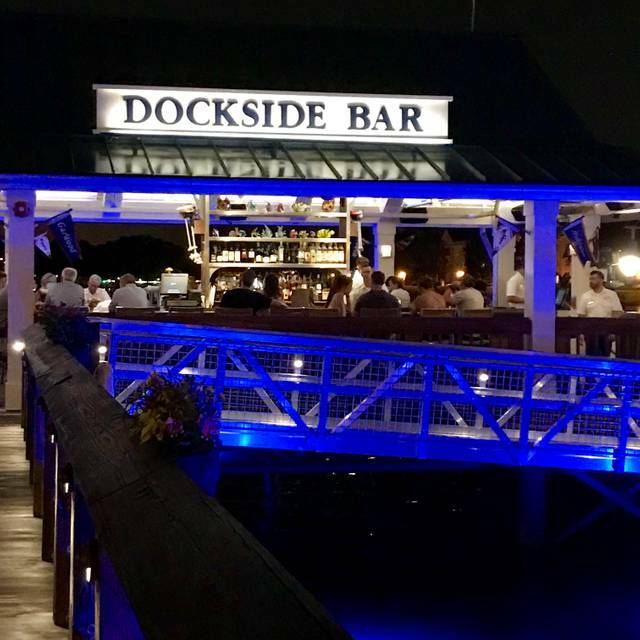 This incredible culinary experience is showcased in an expansive restaurant with three distinctive bars, including The Dock Bar, built over the water. 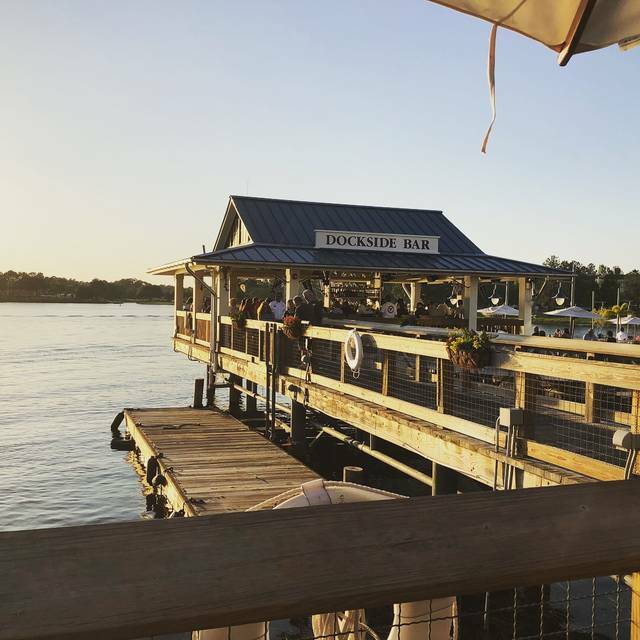 The BOATHOUSE is managed by the internationally renowned and award winning Gibsons Restaurant Group, celebrated for exceptional food and extraordinary service. Delight in our gourmet menu served daily until 2 a.m. featuring steaks, chops, fresh seafood and our raw bar. Awesome! Great food and environment! Great service. Food was excellent. Sat outside and enjoyed the quiet. Select from a wide variety and it won’t break the bank. Try the filet sliders. Yum. Food was excellent. Travis, our server, was the best ever. We love this place, come every year when we visit Disney with my daughter. The apps are always great but the mistake I made was ordering a strip for $40 then adding Oscar style for $15. I didn’t complain about price never would but the asparagus were little nibbles and the crab was not jumbo lump. I will of course come back because of the fresh seafood. But I would not order the Oscar style again. Our waiter was good and it was very busy. Excellent service and food, but just way too loud to have a conversation. My four friends (first visit) won’t return for this reason. It really spoiled their dining experience. Hopefully I can convince them to return and try dining outdoors if the weather is decent. Sitting outside is very nice providing the weather is good. The food is very good. We had the lobster roll and the crab cake and of the two the crab cake was better. As many people have said, the dinner rolls are pretty yummy - a bit on the sweet side but very tasty. Overall a very pleasant experience. No negatives. We especially enjoyed the outdoor tables on the deck. 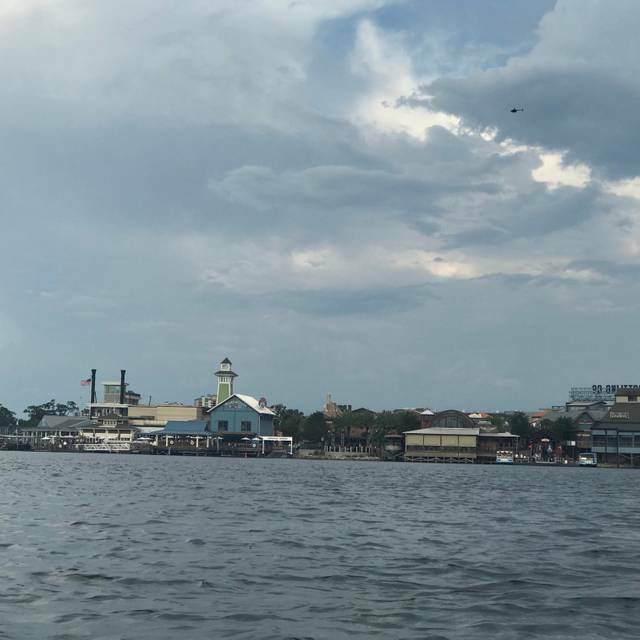 We watched the boats transport people to the other side of Disney Springs and the resort hotels. Our server was very good, timely, hospitable, friendly and courteous. The menu has a good variety even though Barbecue ribs were missing. After dinner we wandered down to the dock bar. That was another wonderful experience. We had a good view of the Rainforest volcano when it erupted. Fantastic! Thank you for a very nice Easter evening dining experience. We loved the food and the best service. We were delighted we made a reservation. We had the lobster stuffed with crab and our waiter Eric suggested a fabulous wine. The price was worth the experience. Great food and service. We chose to sit outside because it was a beautiful Easter day! Food was great, great view from every seat and very friendly and attentive staff. Can't wait to go back! all over his shorts. Please teach the servers to walk around the table and pick these items up and not have the guest hand them to them over other people. This is so aggravating when a server is too lazy to take and extra couple of steps to avoid a spill. My fries were a bit cool and a bit soggy, but overall our meal was good. We are locals and will be back. Our Easter meal was good for the most part. My $30 steak needed to be cooked more. I asked for medium, and it was rare in the center. I couldn’t eat all of it. I didn’t want to complain about it, because we were almost finished with our meals. The lobster soup and fresh rolls were hot and delicious. My main complaint was once again our server was literally hanging over our table as I was figuring out the tip. I said I don’t need change. He briefly walked away, but came back several times in the area like we were going to walk out without giving him a tip. It was very annoying! I am getting to the point were I won’t leave the usual 20% tip or we will stop going here. Today, we felt rushed too! We were in there a total of 30 minutes for the meal. The guy who was helping out our server was extremely helpful and friendly. He should have been our server. The people at the front hostess table were very welcoming too. Everything was great!!!! We arrived about 5 mins early before our reservation and got seated within 3 mins. Our sever was great!! Drinks and bread came out fast. The bread is amazing!!! Our sever knew so much about the menu. (Wish I could remember her name) We sat outside but was great because a screen was up and blocked us from the wind! Our dinners were great and had so much flavor! I even asked for the kids ice cream, just for a picture but it was great as well. Highly Recommend!!!! 2 people in my party had the clam baked and they did not enjoy it, it has no taste and lots of potatoes not worth the price. I had the salmon and it was a little over cook but it was tasty. Crab cakes were ok. Service was really great and friendly. The place is very nice, but as for the food, i’ve Had better. The food and service was amazing! We were celebrating my fiancee's bday and they remembered! One of our favorite restaurants. Everything about it is first class. Had a great experience here! Sat out on the covered porch with views of the water. Service was excellent. Food was very good. Good gluten free selections. 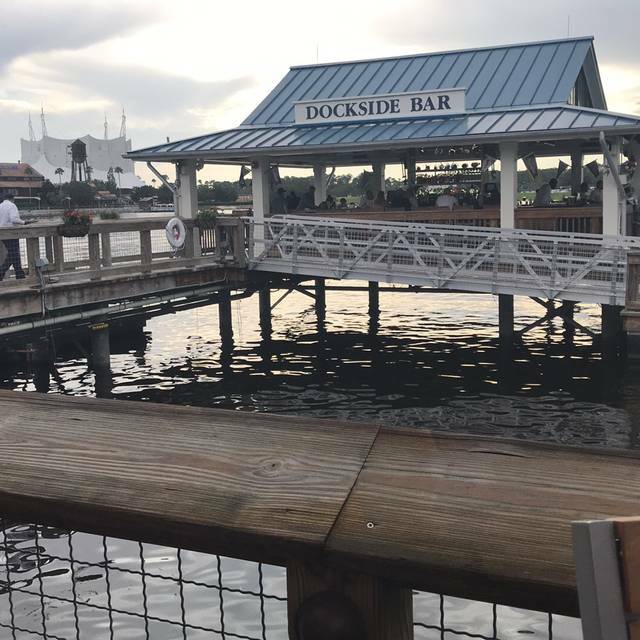 Will definitely go back here the next time we are in Disney Springs! Enjoyed dining here for my Birthday. Had a great time. Service was excellent. Food was delicious. Prices good. Loved the wi dow seat with a view. Would definitely go again! 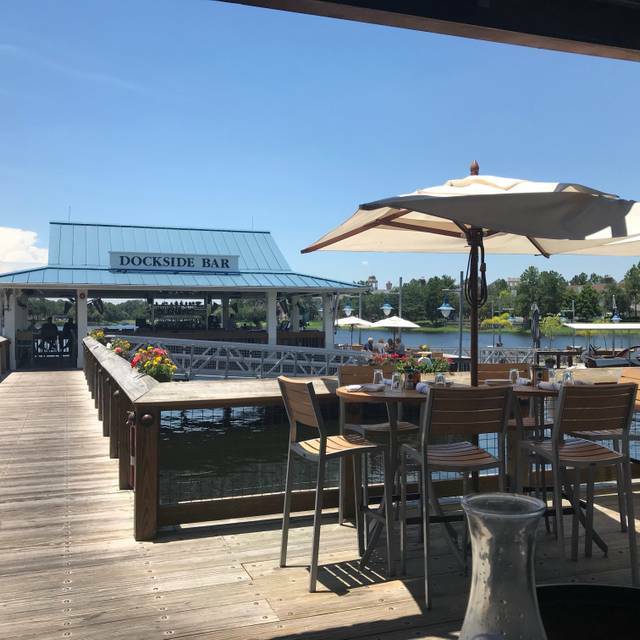 Fantastic food and service with a beautiful view of the lake out two windows. Great place to celebrate and have a wonderful meal. Amazing views and food was delicious! Outstanding food, atmosphere, and service. Great value for what you receive. Upon arriving we were waiting 20mins for our prebooked table to be prepared, when we were seated it was totally freezing from the air con which could not be controlled. The host was attentive, and the honey bread was lovely. The food is expensive aswell as the drinks, so be prepared. We were a party of 4 adults and 2 children and we had 1 starter to share and mains each and the bill was $280......... If the temperature inside could have been controlled it would have made the experience more pleasant and the food wouldn’t have gone cold so quickly which was a real disappointment. Would we go back? Maybe but we wouldn’t rush - it wasn’t the best food we had ever eaten. We visit The Boathouse every time we are in town. Never disappoints and Jeremy our sever was excellent and made the early evening dinner that much more enjoyable. There were great gluten free and healthy options available for the whole family. The food and service are always excellent. The restaurant is noisy but it’s a busy place. We had a lovely table next to the window overlooking the water. Our Waiter JC was excellent, as was all of the staff we interacted with during our reservation. This is a great restaurant for families. Was very excited to dine here since we are from Chicago and frequent Hugo Frogs and Gibson’s. My filet was over cooked but the lobster bisque was amazing as always! We just split an appetizer (firecracker shrimp, our favorite), but as usual, it was perfect, even with a light dusting of rain. Beautiful setting, amazing food and atmosphere. Service was amazing and the food was beyond excellent! Birthday! Great view waitress.very helpful with menus food amazing! This was our first visit to the Boathouse. We received a nice greeting from the hostess and were seated immediately. Our server filled our water glasses and placed a plate of delicious looking rolls on the table. From other reviews I knew they would be delicious and they were. My husband had the turkey bacon club sandwich. It was loaded with turkey and bacon and cucumbers, avocados, tomatoes. I had filet mignon sliders and I would order them again. My dislikes were that the tables are sooooo close together. I could have easily helped myself to my neighbor’s asparagus. Also the noise level was high, high, high. We could not hold a conversation. nice large glasses of sangria. Both the red and white choices were very good. 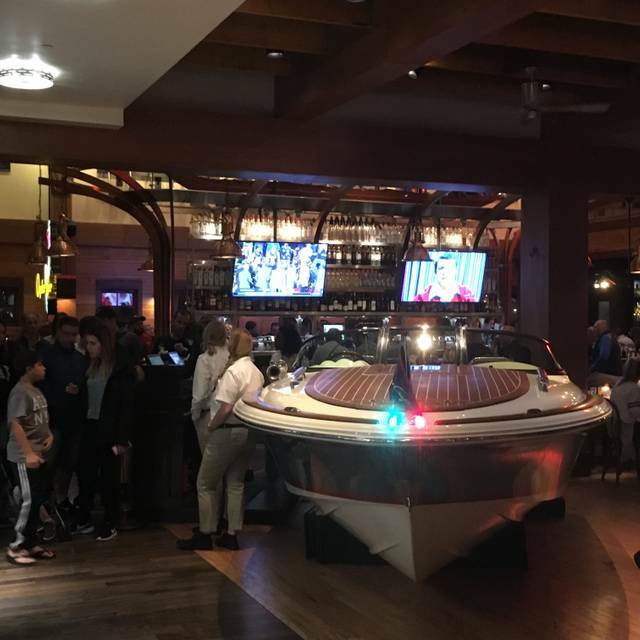 As a Florida resident, The Boathouse is one of my favorite restaurants to go to when I am in Disney Springs. The bread is delicious and the restaurant has a great view by the water. During my last visit, I had indicated on the reservation that it was my cousins birthday. Not only did they not even acknowledge that but the service was really slow and we had to send a plate back. My boyfriend asked for gluten free bread on his tenderloin sliders and instead of asking him if fries were ok with the meal or if he would like a different side instead, they gave him a salad with dressing on it which he could not eat because of the dressing. Every other time we have gone to this restaurant and we ask for something without gluten, they have the chef come out and talk to him or ask him about the sides before just replacing it. Once again, great food and great table service in a vibrant environment.